At least 33 Iranian MPs were told on Tuesday that their candidacies had not been approved even though they currently serve in the parliament. Many reformist MPs and even some conservatives are among those barred from running in the March vote, which the country’s intelligence minister has described as “the most sensitive elections” since the 1979 Islamic revolution, guardian reported. 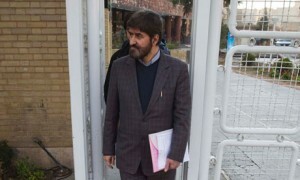 Semi-official news agency (Mehr) stated that Ali Motahhari (a principlist MP and vocal critic of President Ahmadinejad) and Hamidreza Katoziyan (the chairman of the Majlis Energy Committee) have been found disqualified by the Interior Ministry. Dariush Qanbari, the spokesman of the Majlis minority faction, and Alireza Mahjoub, who is considered the voice of labor class in the parliament, are among the reformist lawmakers whose qualifications have not been approved. Tehran Governor General Morteza Tamaddon said those who have failed to gain the approval of the executive committees can submit their written protests to the executive committees until January 14.